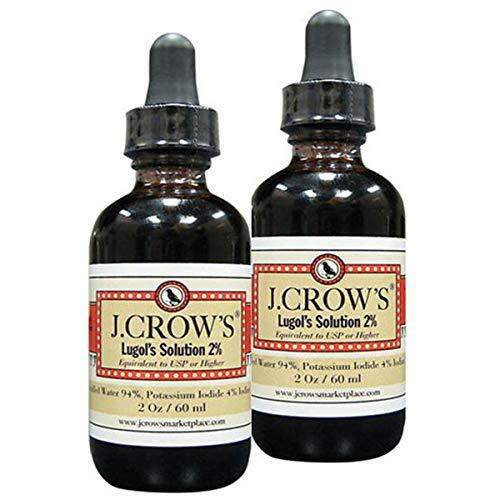 Lugol's Solution 2 Percent features a concentrated dose of iodine, which isn't produced naturally within the body. Iodine helps regulate thyroid function by balancing thyroid hormones. 2oz BOTTLE = 1300 SERVINGS of Potassium Iodide - that is easily and quickly taken up by the thyroid gland. One bottle will last you a long time so you save a ton of money on a high quality Non GMO dietary supplement. If you have any questions about this product by Coral Springs HBOT, contact us by completing and submitting the form below. If you are looking for a specif part number, please include it with your message.